They shy from no comparison. Many have tried but failed to copy them. Swing Saddles are made to measure. Your horse will benefit immediately. 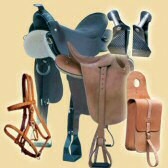 Swing Saddles are loved by their owners. Therefore they are not expensive. Confirmed by many hundreds of horses. NEW! ZACK - the rein sensor.